Our goal is to connect people with the best local experts. We scored carpet cleaners on more than 25 variables across five categories, and analysed the results to give you a hand-picked list of the best carpet cleaners in Sunnyvale, CA. At A-breeze Carpet and Upholstery Cleaning, a qualified team specializes in cleaning services to the San Jose, Santa Clara, Cupertino, Saratoga, Campbell, Los Gatos, Monte Sereno, Los Altos, and Milpitas communities. Founded in 2003, their corporation efficiently provides a wide array of options, including carpet, upholstery, and hardwood floor cleaning, as well as anti-allergen and restoration services. Exceptional reviews can easily be found on a variety of online sources for A-breeze Carpet and Upholstery Cleaning's excellent customer service, their noticeable attention to detail, their consistently affordable prices, and their availability to all present and future clients in emergency situations. Ameripro Carpet Cleaning in Sunnyvale is an owner-operated business with nearly four decades of experience in the carpet cleaning industry. The company’s owner, Chuck, spends ample amounts of time getting to know his clients, their properties, and their cleaning needs to ensure his services exceed expectations. Ameripro Carpet Cleaning specializes in cleaning carpets in single-family homes. The business uses a truck-mounted steam cleaning unit and a collection of highly rated cleaning solutions produced by the best manufacturers in the business to produce the best results possible. Ameripro Carpet Cleaning can clean all types of carpeting and most types of fabric furniture. The company uses top-grade cleaning solutions to get rid of pet stains, odors, and other types of bacteria. Though many carpeted areas are often dry by the time Chuck has finished steam cleaning all areas, typical drying time ends up being between six and eight hours. 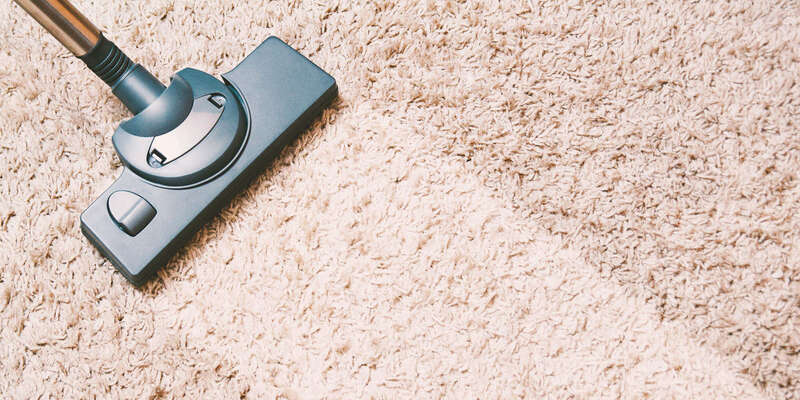 Bright Steamer Carpet and Upholstery Cleaning is a licensed, bonded, and insured cleaning service serving the San Francisco Bay Area using eco-friendly cleaning products that are proven to be safe for family and pets. Commercial and residential customers receive quality service and results from experienced technicians who arrive promptly, work efficiently and courteously, and respect their customers’ privacy. Carpets, area rugs, upholstered furniture, mattresses, and car interiors are all cleaned with the latest deep steam cleaning techniques, which also removes pet odors. Customers’ reviews show appreciation for Bright Steamer's quality, efficient service and say they will call on the company again in the future. Campbell Cleaning Experts is proud to have become Santa Clara County's leading provider of professional carpet and surface cleaning services. The team of technicians is highly knowledgeable and has vast experience in working with a wide variety of materials and products. All services are backed by a 100% customer satisfaction guarantee and they aim to complete every job correctly the first time. They use only the most progressive equipment and methods when handling carpets which produces longer-lasting results and a deeper clean. Campbell Cleaning Experts offers a wide variety of comprehensive services including upholstery cleaning, tile and grout cleaning, carpet and hardwood floor cleaning, area rug cleaning, oriental and Persian rug cleaning, air duct cleaning, water damage repair, and water extraction. Carpet Cleaning Campbell offers expert cleaning and restoration services to residential and commercial customers throughout Santa Clara County, California. Each technician is highly trained and experienced in cleaning many types of materials and surfaces throughout homes, and knows exactly what is required to properly treat carpets and floors so that harmful bacteria, allergens, pollutants, and debris are effectively eradicated. For many years, the company has been addressing the area's need for professional cleaning solutions and they aim to ensure all families can live safely and comfortably in their homes. Carpet Cleaning Campbell guarantees complete customer satisfaction and is available around the clock for emergency services. Carpet Cleaning Campbell specializes in water damage restoration, water extraction, carpet cleaning, area rug cleaning, oriental and Persian rug cleaning and restoration, air duct cleaning, upholstery cleaning, tile and grout cleaning, and much more. Carpet Cleaning Los Gatos is committed to excellence in the cleaning and maintenance of residential and commercial flooring and furniture in the Greater Los Gatos area in Santa Clara County, California. The company’s technicians have many years’ experience cleaning all grades of carpeting and rugs – from low-pile commercial carpeting to exquisite Oriental rugs – as well as tile flooring. They also provide steam cleaning for upholstered furniture. Specialties are mold removal, and stain and odor removal, for which the firm uses eco-friendly cleaning products. The technicians are on-call 24 hours for emergency cleaning calls. Client testimonials point to loyal, repeat customers. Muse Maintenance is a carpet cleaning service company in Sunnyvale, California that serves the Bay Area and possesses more than 30 years of experience in the carpet cleaning field. They carry out a broad spectrum of cleaning and maintenance services. Their house cleaning services include move-in and move-out, regular house cleaning service, living areas and bedrooms, carpets vacuumed and edged, windows and window tracks cleaned, base boards dusted, plus more. Their carpet cleaning services include traffic area cleaning, empty cleaning, deep scrub, stairs, and sofa. "They fight dirty." Muse Maintenance brings its customers its variety of experience, knowledge, leadership, and commitment to quality. Their business hours are Monday through Saturday from 8:00 AM until 5:00 PM. Paradise Carpet Cleaners has been cleaning carpets in the San Francisco, California Bay Area since 1977. The company services both residential and commercial buildings, and specializes in cleaning medical offices. Services include cleanings for carpets, upholstery, rugs, and draperies. Carpet re-stretching and repairs are also available, along with pet stain removal. Technicians employ gentle steam technologies and environmentally-friendly solutions that are safe for children and sufferers of asthma. Ninety percent of Paradise Carpet Cleaners new customers are gained through referrals. Appointments can be made by phone or by email. Customers appreciate Paradise Carpet Cleaners’ friendly demeanor and attention to detail in cleaning carpets. Radiant Carpet & Upholstery Cleaning, established by Ken Louie in 1995, provides carpet cleaning services to 12 cities in the Sunnyvale, California area. Ken Louie brings over two decades of experience to the job as well as IICRC professional certifications in carpet & upholstery cleaning, odor removal, and water damage restoration. Radiant Carpet & Upholstery Cleaning makes sure their customer's carpets are clean of germs and bacteria, while also using eco-friendly, biodegradable cleaning agents. Their products are EPA Designed for the Environemnt (DfE), odorless, non-toxic, and safe for kids and pets. Radiant Carpet & Upholstery Cleaning's firm pricing, expert care, and money-back guarantee are made to ensure customer satisfaction.